Describing something as the “Woodstock of…” has taken to mean a one-of-a-kind historic gathering. 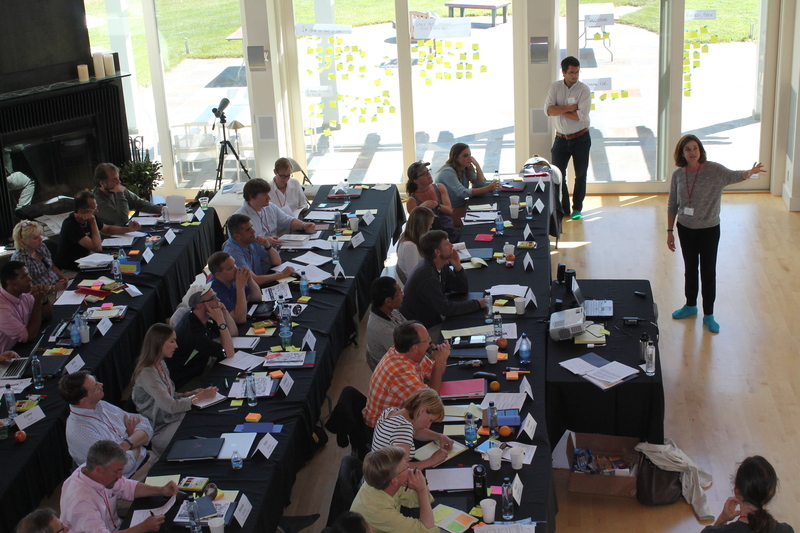 It happened recently when a group of educators came to the ranch to learn how to teach Lean entrepreneurship to K-12 students. Over the last few years it’s become clear that the days of teaching “how to write a business plan” as the cornerstone of university entrepreneurship are over. We now understand the distinction between startups – who search for a business model – versus existing companies – that execute a business plan. Learning how to keep track of inventory and cash flow and creating an income statement and a balance sheet are great skills to learn for managing existing businesses. In addition, most programs fail to teach students the distinction between a lifestyle business, small business and scalable startup. While the core principles of lean work the same for building a small business versus a scalable startup, there is a big difference between size, scaling, risk, financing, decision-making, uncertainty, teams, etc. Entrepreneurial education in grades K-12, if it exists at all still focuses on teaching potential entrepreneurs small business entrepreneurship – the equivalent of “how to run a lemonade stand.” This is fine if what we want to do is prepare our 21st-century students to run small businesses (a valid option), but it does real damage when students leave entrepreneurship classes thinking they’ve learned something about how entrepreneurs who build scalable startups think and operate. In 2013, after taking the 2½-day “Lean LaunchPad for Educators” seminar, a few brave educators from Hawken School, a K-12 school in Cleveland, Ohio, decided to change the status quo. They returned to Hawken on fire with a vision of building a completely different sort of entrepreneurship course in their school. They saw the future was a course where students would learn by working on actual problems in the real world instead of sitting in a lecture hall. They adopted the Lean LaunchPad methodology because, as they said, it provides a framework for the chaos of a startup, where nothing is predictable. They found that they could approach teaching entrepreneurship like the scientific method. They ask their students to develop hypotheses and then get out of the classroom to conduct interviews to test them. They learn techniques for innovation, analytical approaches to research, and evidence-based systems for decision-making and problem-solving. I had blogged about what Hawken learned implementing something this radical in High School here, and in middle school here. (Take a minute to look at the posts for context.) Honestly, I had never expected the Lean LaunchPad class to work so well in high school. But an even bigger surprise was when Doris Korda, Hawken’s program director, told me she was getting calls and emails from K-12 teachers across the country asking her to hold a “Hawken Lean LaunchPad for K-12 Educators” workshop. So the Hawken teaching team took a deep breath and they offered this class – here at the K&S Ranch – so other educators could learn what Hawken is doing and how they’re doing it. Here’s what they were trying to accomplish. Thirty educators from 19 public and private schools throughout the U.S. attended their inaugural workshop. These educators arrived at the ranch with a palpable sense of urgency, eager for the tools needed to build their own classes. There are no established Lean K-12 curricula, textbooks or handbooks for entrepreneurship programs. The class offered the first set of Lean educators’ materials anywhere. It took the attendees through the basics of Lean and how to build the class at their own schools. The Hawken folks knew that in the back of the minds of other educators there was going to be the question, “Will this really work with my students? Can I really get them out of the classroom and expect real learning?” In what I thought was a stroke of genius, the Hawken team brought seven Hawken students who had taken the lean entrepreneurship class to help teach this educators course. These students told the attendees real world stories of how the class changed their lives and offered input and advice about what worked and didn’t for them. The energy at the ranch was off the charts. Every minute was filled with talk about how to build this new model of learning and how to use LLP to encourage students to think creatively and analytically. The attendees went back to their schools armed with a methodology and sample curriculum to develop their own entrepreneurship courses and put what they learned into practice. Some will take what they learned and apply Lean entrepreneurial principles to create innovate STEM programs and/or to encourage the growth of entrepreneurial ecosystems beyond school walls. 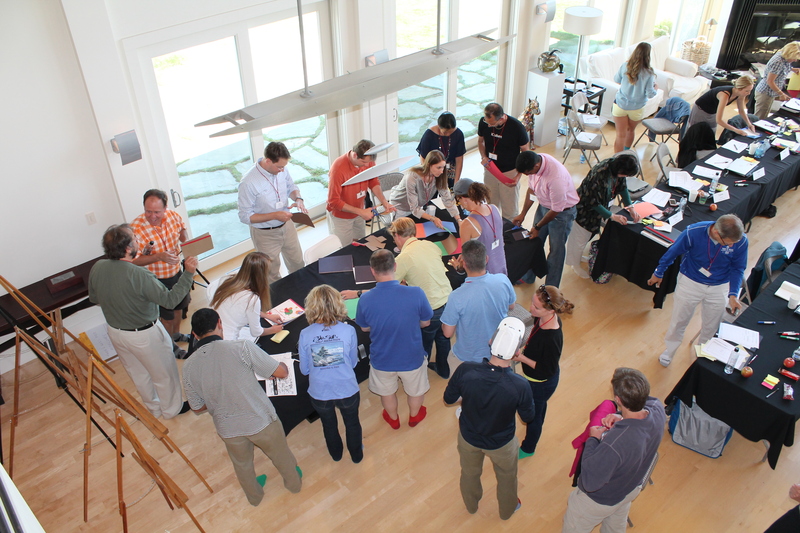 Encouraged by the attendees, Hawken is developing a comprehensive educational program for educators, with workshops on the East and West coasts, an educator’s handbook, and codified systems to help educators build their own experiential, LLP-based K-12 programs. To learn about the workshops and sign up, click here. wow! Awesome segway to teach young minds. I am thorougly enjoying your course on udacity. The same course would be charged hundreds of thousands of dollars if taught by other entrepreneurs. Steve, you truly are a great teacher.Thank you. This is truly incredible. The next evolution in k-12 education? Steve! Brilliant! A seminal piece. Amazing work Steve! Keep it up! It’s great to see other instructors teaching this. I learned my lessons losing many shirts. I decided I needed to put myself into a position to teach entrepreneurship and success thinking to my high school students. I taught it on the side, losing many copies of entrepreneurship and leadership books to kids who so desperately wanted to learn they’d demand more work for no credit. I was teaching history at the time, and working in tech by accident. I found my customers wanted to learn entrepreneurship and financial literacy. Teens are starved for this knowledge, and now that it’s cool and pop culture, they want it even more, which is a good thing at a time when college is letting them down. Thanks for emphasizing the connection between education and entrepreneurship and providing so many resources. I heard you speak in Providence a bit over a year ago, Steve. “Fire the idea,” has inspired my teaching, improved my sanity with education reform, and found its way into my writing. I’m grateful for your resources and honored to be in a position for a while where I can pass this thinking on to the next generation of “awesome.” Thanks again.